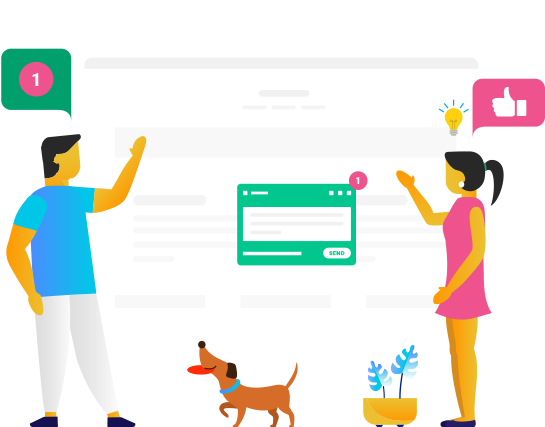 Markup creates is a better way for agencies and freelancers to communicate changes to projects. 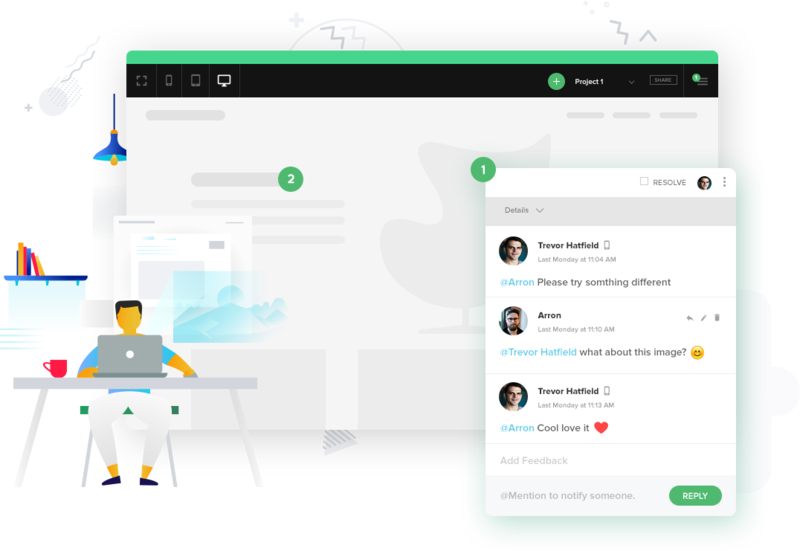 Unlike other tools, you can comment directly on live web pages and design mock-ups, drastically cutting down the back and forth between clients and teammates, and setting a clear path to progress. 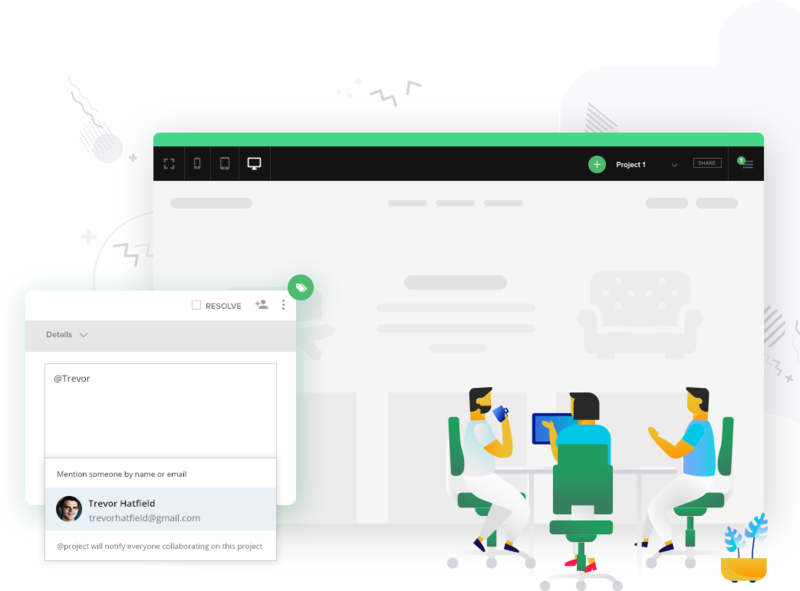 Client & team communication has never been so easy! 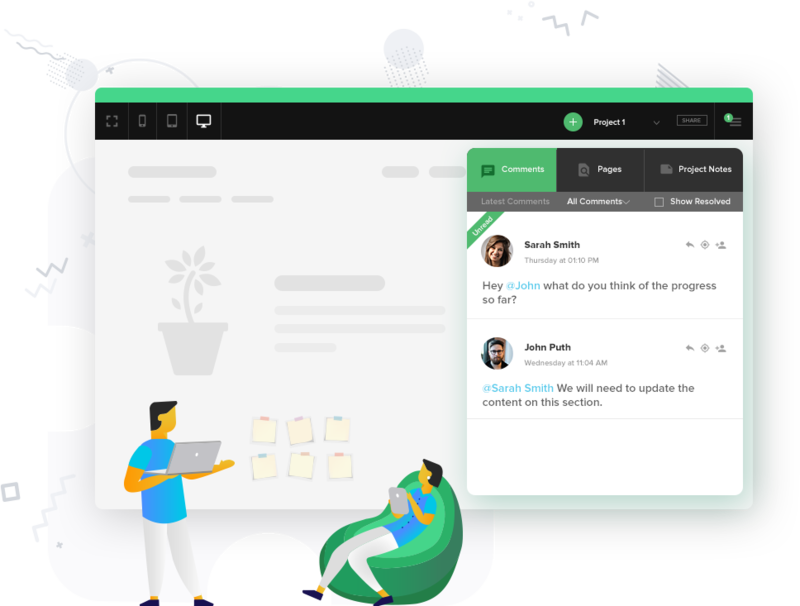 Comment directly on design mockups with the ability to link to live site pages and back to mockups, helping to clearly explain a process flow or funnel. Create projects to organize your site pages and design mockups. Link directly to comments on a page for a quick reply. "The biggest problem I had was clear communication with my team and clients on changes to our landing pages. This is now a headache of the past." "Markup is like Invision, but for live sites and also design mockups. It really helps streamline our team communication." "Markup helps us communicate with our SaaS clients to seemlessly optimize their user onboarding process." Sign up and invite your friends to get early access & greater discounts with every milestone you reach! 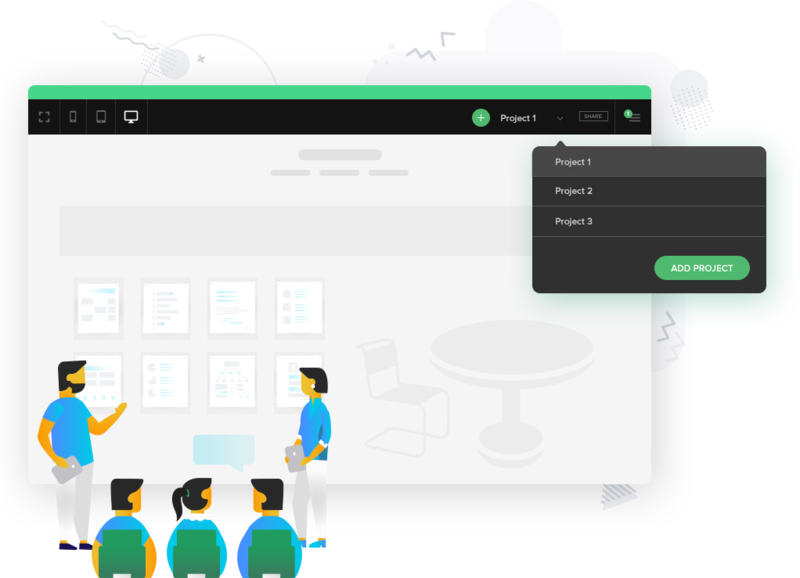 Start better team communication and collaboration with Markup.